Levenshulme Traders Association are a longstanding network of local, independent traders operating in the Levenshulme area. As Chair of Levenshulme Traders Lawrence Hennigan, from the locally based Levenshulme Pub Company, keeps in regular touch with over 200 traders and interested parties through an e-mail newsletter and a alerts. Levenshulme Traders has provided advice and training to many local people over the years but is most well known for co-ordinating the involvement of local traders in the Levenshulme Christmas Tree Lights Switch on and the distribution of over 400 free Christmas presents to children of local families. LTA works closely with the Levenshulme Community Association, Manchester City Council and many local groups to help improve our area. The Traders Association in Levenshulme has regularly promoted the concept of ‘ SHOP LOCAL’ throughout the year and each December encourages traders to be part of ‘Small Business Saturday’ by promoting special offers for local shoppers and seeking to increase footfall on the high street. They have worked with Members of Parliament, City Councillors & many Officers of Manchester City Council to build up our District Centre and seek a cleaner, more environmentally conscious neighbourhood for all. Most recently LTA have keenly supported and worked alongside many groups on the ‘Bee in the City’ Project this summer. We are very proud that our area has secured a Levenshulme Bee, ‘The Bee with No Name’ currently to be seen on the Village Green near the corner of Stockport Road & Chapel Street and which is giving local people especially children so much pleasure. 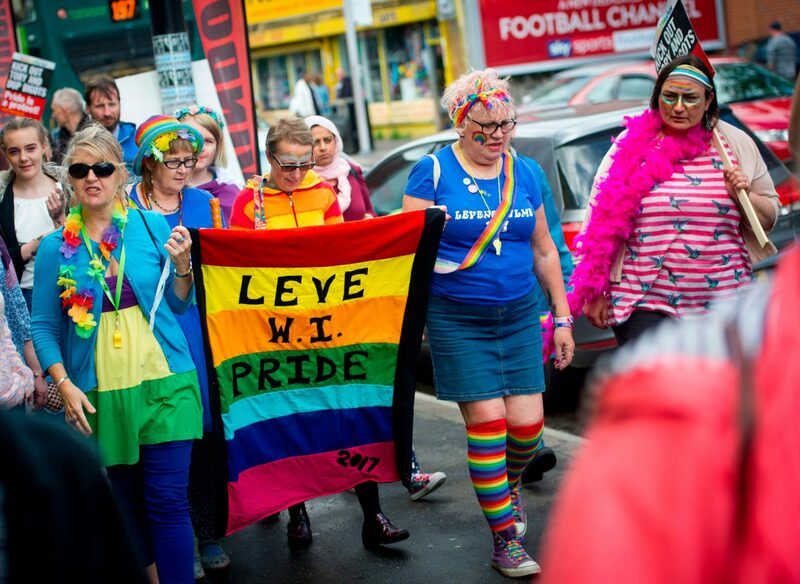 Lawrence Hennigan told local Pride Organisers in Levenshulme, ‘Levenshulme Traders are delighted to be here keenly supporting Levenshulme Pride 2018. We live in a very diverse area and it is right to celebrate that diversity. Our rich tapestry of Cultures & People make Levenshulme a very special place in which to live and to work’.